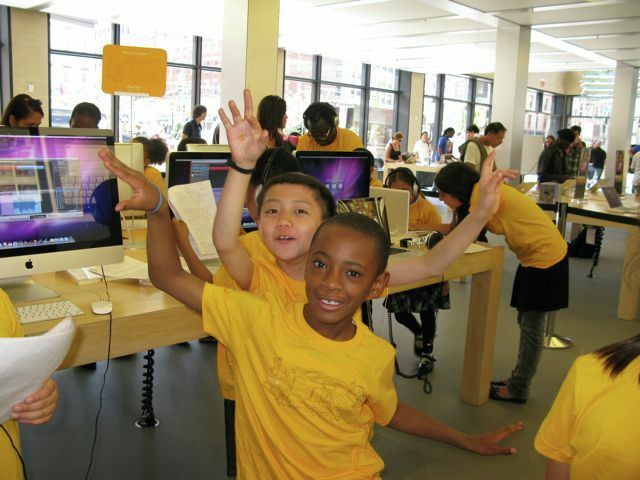 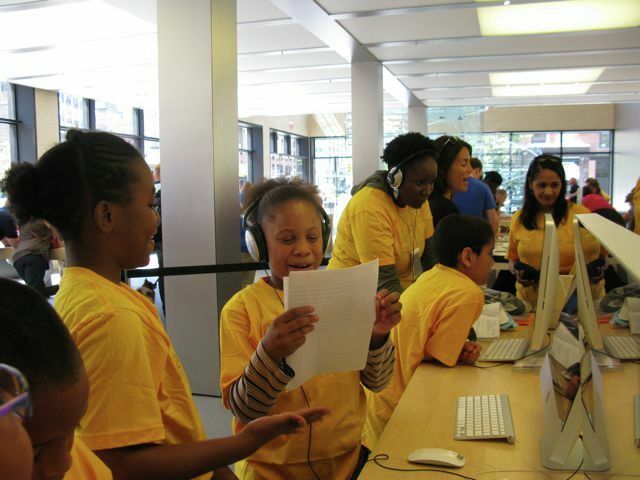 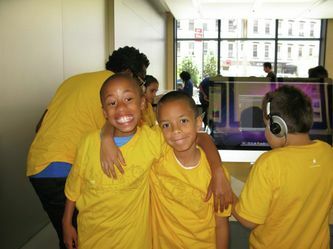 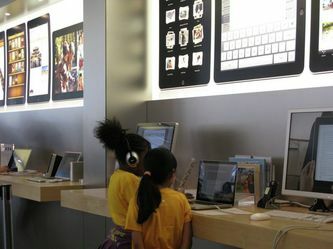 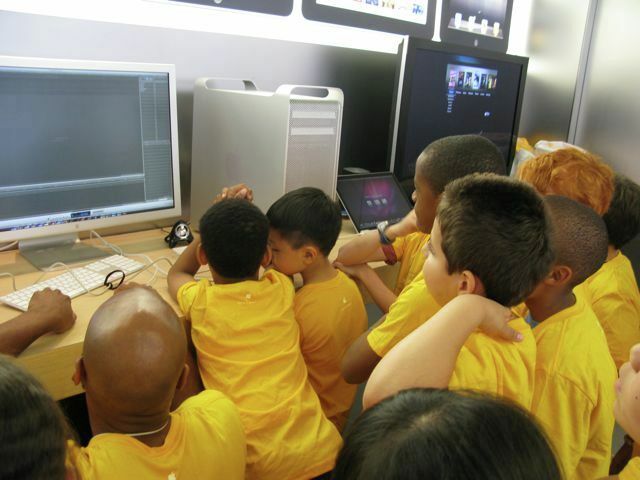 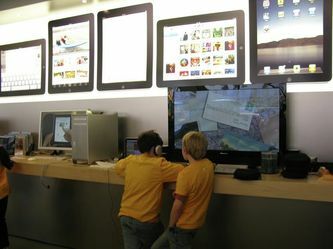 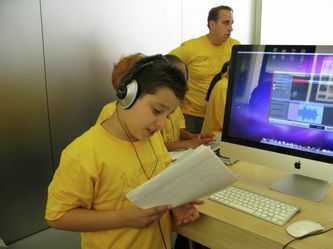 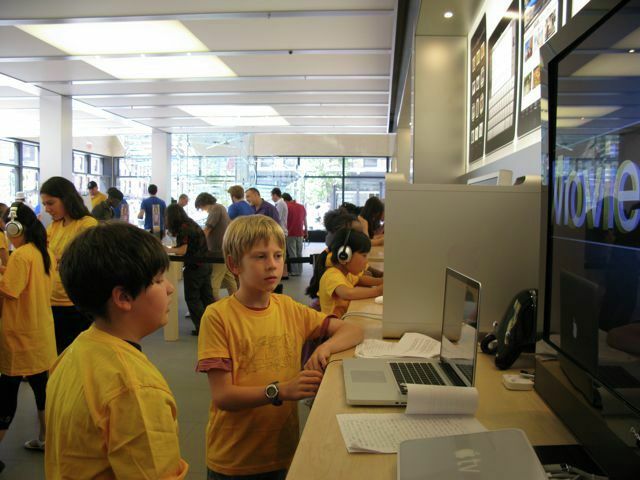 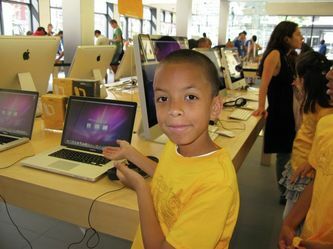 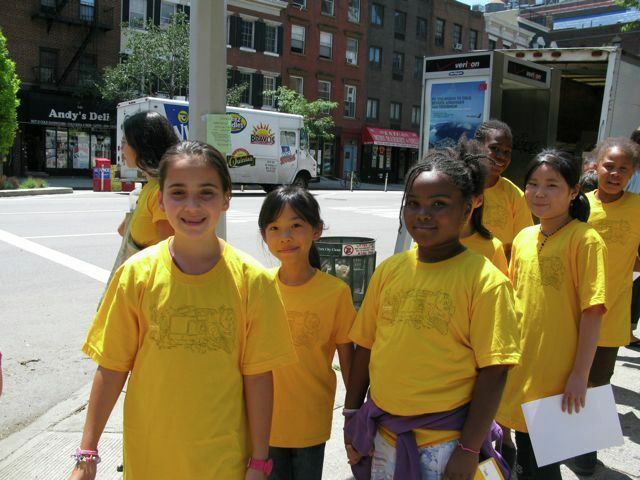 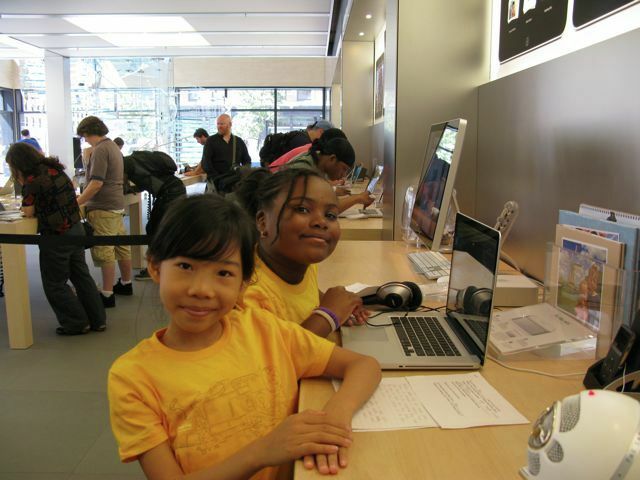 On June 7, we took a trip to the Apple Store at 14th Street to learn about podcasting. The students used the Garageband program to create their own podcasts about their persuasive essay topics. 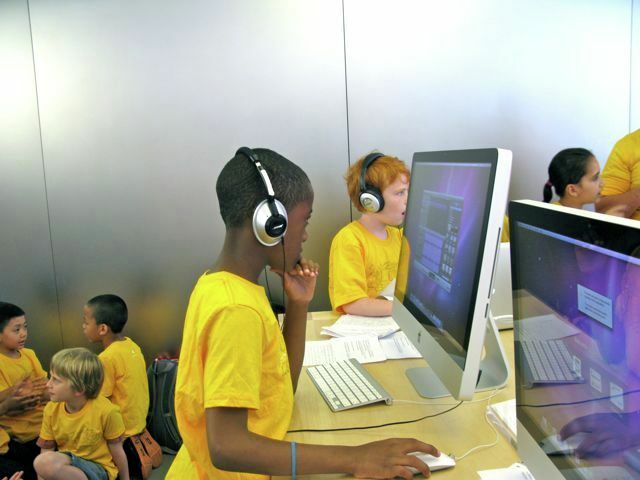 Working in pairs, the students recorded their voices and then chose audio tracks to accompany their recordings. Everyone enjoyed making the creative decisions necessary for creating a podcast. 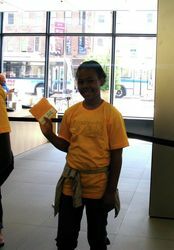 Here are some photos from our trip. 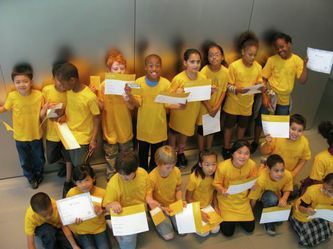 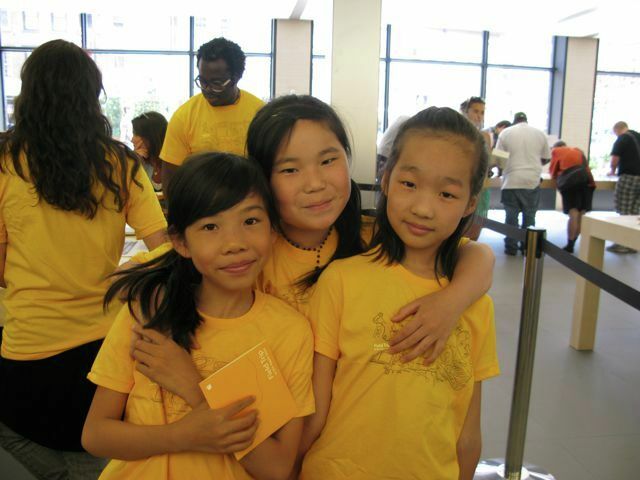 As you can see, the Apple Store gave us t-shirts, certificates, and CD's of the students' podcasts.